There’s a feeling of strange déjà vu in the air. You’ve seen this post before… haven’t you? 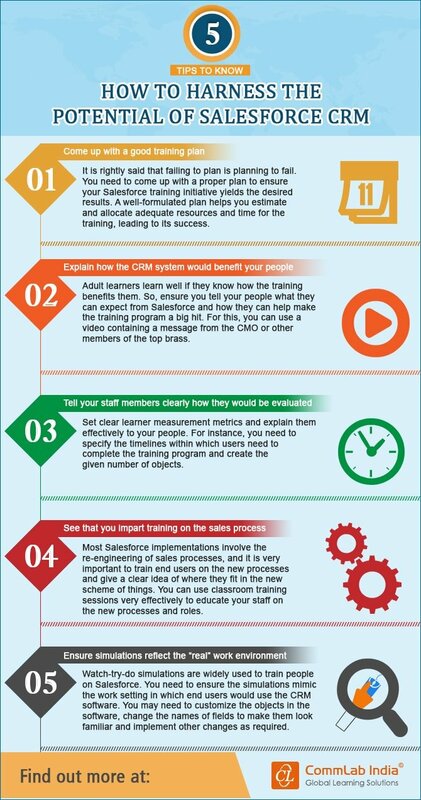 It’s an infographic, about Salesforce implementation, its headline suggests reading it will help you make the most out of your newly acquired platform, promising X simple steps to victory. Well, dear reader- you’re almost right. Because this is one of the best infographics I’ve seen that deals with Salesforce implementation, and it raises important points I have yet to see in any other visual explanation, including videos and keynotes. Take Tip #4, for example, it seems so trivial, but many companies that implement Salesforce, or any other CRM for that matter, tend to look at it more as an upgrade rather than a complete reboot of their entire sales (and marketing in some cases) process. Employees need to understand how they fit in the new scheme – or there will be trouble brewing for the implementation process. This infographic is spot on in detailing the necessary steps for a successful implementation. Enjoy!